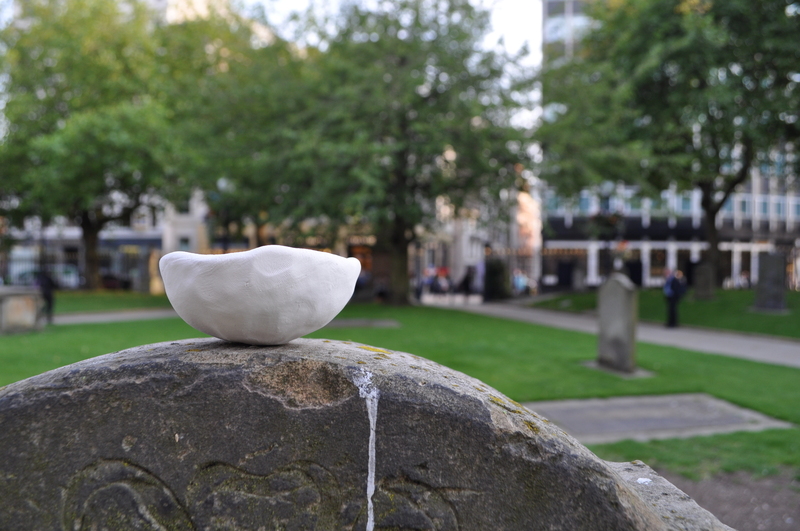 Pinch Pot Memory Vessels – Birmingham Festival Continued! So better late than never! 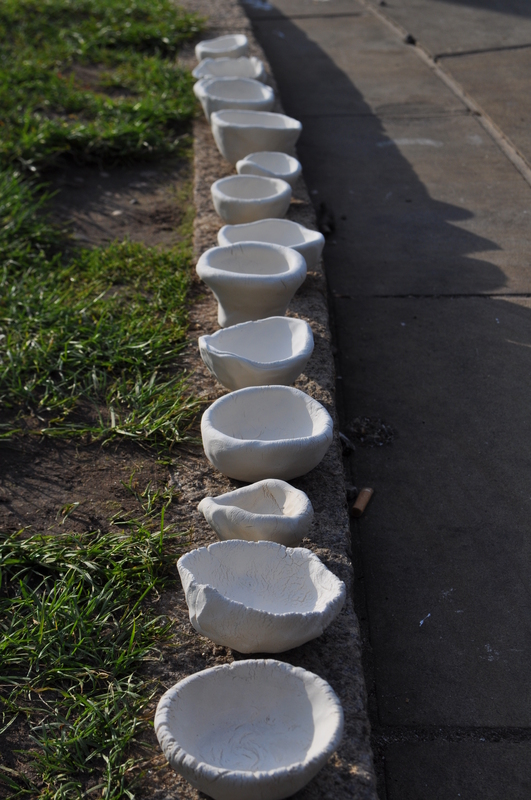 Here are the photo’s from the rest of the In;site Festival commission, of the memory vessels. 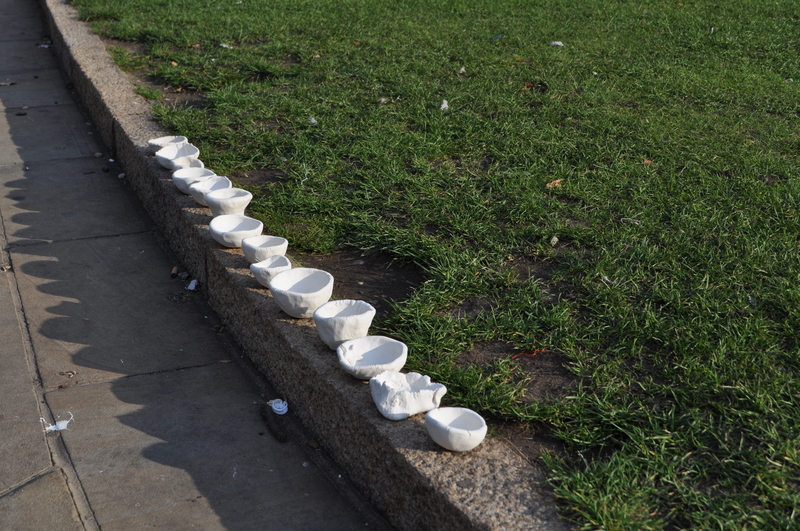 This part of the project was the performance/ participatory section, as I was teaching the public to make pinch pots, which would then be placed on different graves or spaces around the Cathedral, to act as tributes to those that lay there. 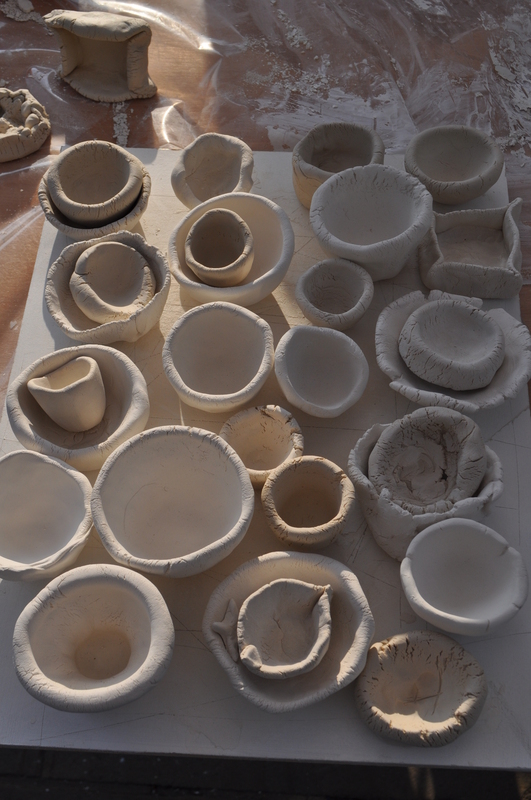 I wanted to use these small bowls, as I like the idea that people will make them themselves for a loved one, leaving not an imprint of themselves, but also a vessel for others to put things in. 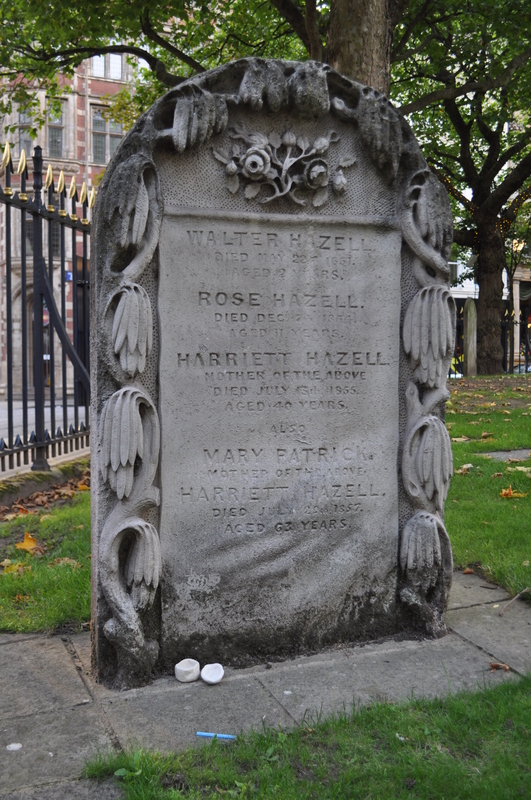 Many cultures and religions lay objects onto graves, such as small stones, flowers and coins. This stems back from our ancestors burying their dead with their possessions, such as The Ancient Egyptians, and the Greeks who used to put coins onto the eyes or in the mouth of the deceased to pay the ferryman Charon to row them into the underworld. 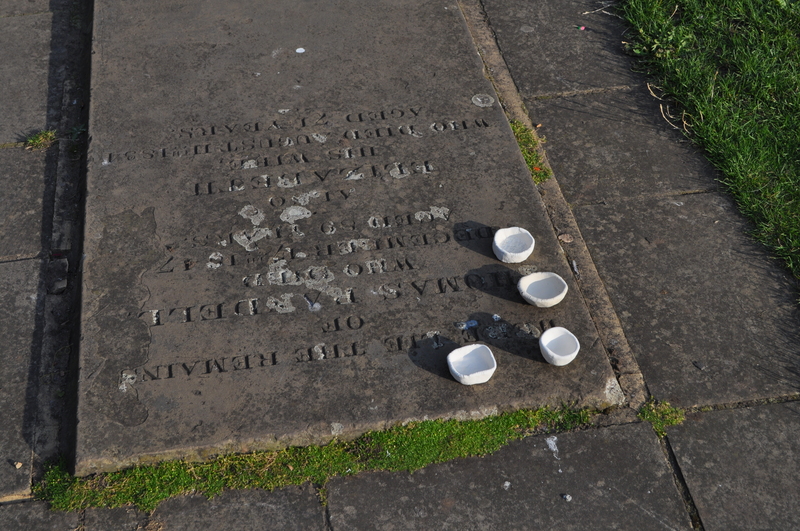 As well as a place to leave items that were dear to the deceased, the vessels act as a small memorial on their own – or a place to hold memories of times with the loved one. 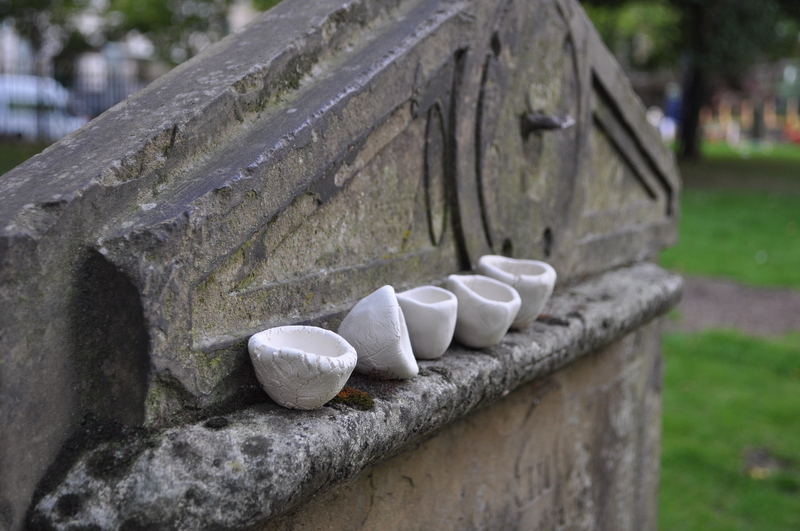 I had some really lovely pieces made on the day, and everyone liked the idea that they would be placed onto the graves and around the green space. I really liked the idea of them being washed away in the rain and left for the elements. Some cultures have jewellery and dreamcatchers, that they believe break when the wearer is ready to live without it – for example a bracelet that is used for protection will break when the wearer is deemed out of harm. 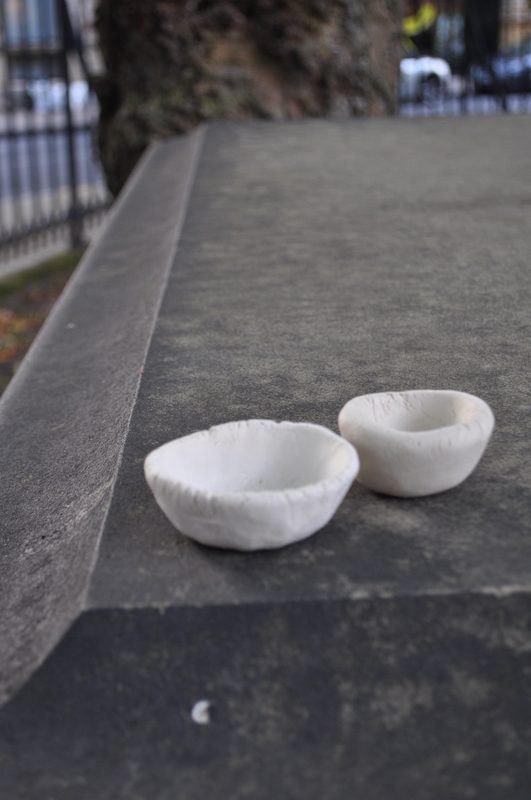 I hoped that this would transfer into the mourner starting to learn to live with their grief once the bowl starts to erode, that everytime they visit the grave they will become a little stronger, and the vessel a little smaller. 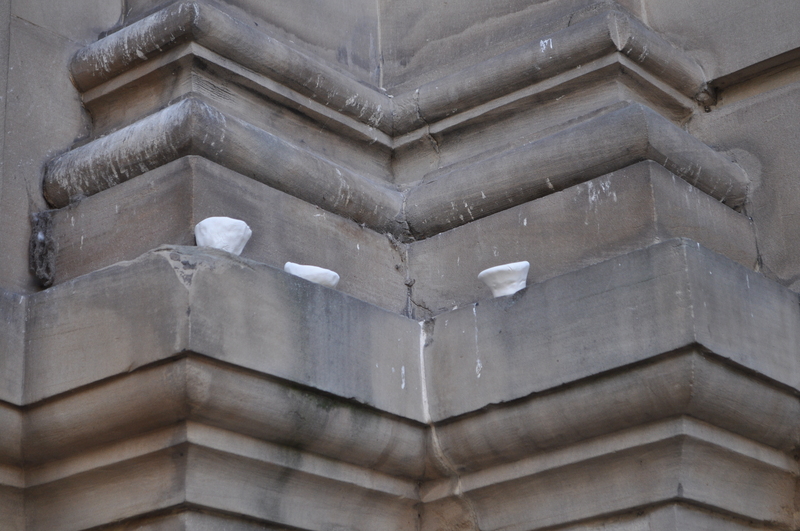 I think they work really well visually, and they are subtle yet intriguing around the site. 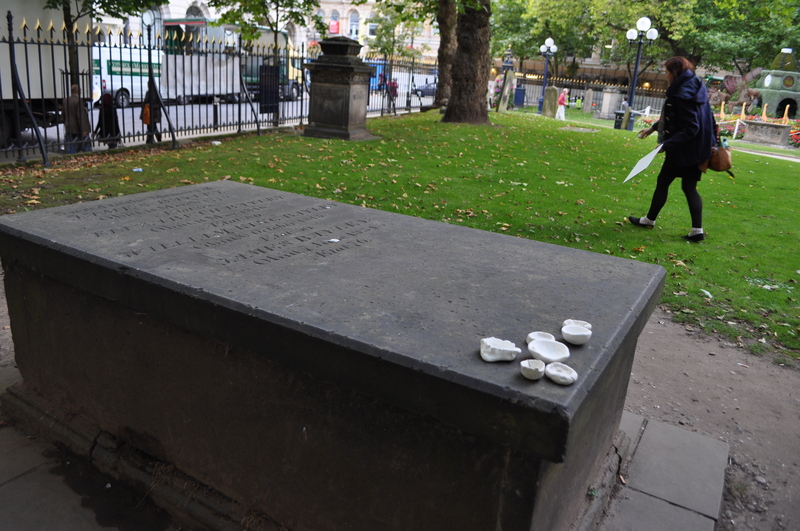 I like that it becomes a sort of treasure hunt, looking for more as you walk around the space; this also makes people see the grave anew, imaging who the person beneath it was, and to also know that people still care about them even when they are gone. 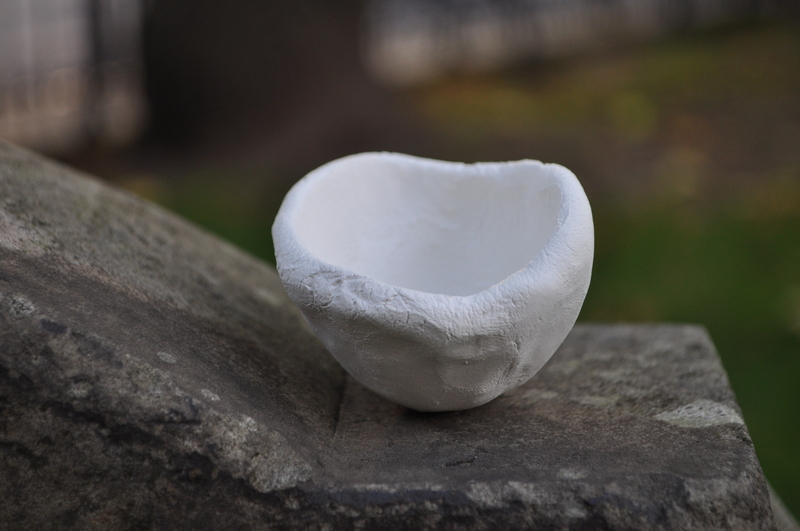 Thank you to everyone who came and made a pinch pot on the day! I hope to make another series like this, in another graveyard perhaps, or even to make some grave goods or memory objects in the future! ← In;Site Festival Commission; Complete!